Providing additional material for pupils to download and review on their own time. 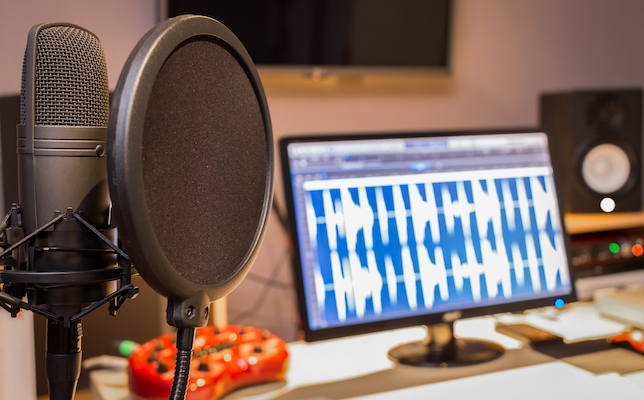 Outside of the classroom, podcasts continue to be a growth medium, with 40 percent of Americans ages 12 and up saying that they have listened to a podcast, according to a recent report from Edison Research and Triton Digital. Twenty-four percent say they have listened to one in the past month, which is up from 21 percent a year ago. In addition, six in 10 Americans are now familiar with the term “podcasting,” or making recordings of broadcasts available to download on a computer or mobile device — a number that has risen 22 percent in two years. 1. Identify topics by brainstorming. In my 10th grade ELA class, we recently worked as a group to identify a variety of relevant topics to turn into a podcast. At the beginning of the project, we Skyped with a journalism major from California State University, Sacramento. She gave us tips on what makes a successful podcast, including topics to consider. Students were also able to ask questions one-on-one. 2. Challenge students to think outside of the box. Today’s digital natives need to be pushed out of their comfort zones in order to get them thinking beyond the basics. I urge my students to open their minds to the possibilities and explore new avenues through podcasting. Many times they don’t even realize that they’re learning while having fun at the same time. 3. Find the right platform. We use StudySync, a digital ELA curriculum for grades 6-12 that offers “Blast” assignments with podcasts that cover current events and issues. We’ve modeled the podcasts we created afterthe company’s "School of Thought” audio podcasts, which explore students’ views on 21stt century learning while helping students improve important listening and critical thinking skills. 4. Write the story before recording the podcast. This will limit the amount of editing that has to happen post-production and save quite a bit of time for both you and your students. Ask students to be clear on their story and intent, do their research before they start the story, ask well thought-out questions (research, research, research! ), and outline each podcast “segment.” This also ensures the story falls within the time limits set for the podcast. 5. Tailor the podcast to the audience. Have students determine what questions they will cover and how the content will be relevant to their peers. Oftentimes, their audience may even have the same questions. Encourage them to include varying opinions, interviewing family, friends, peers, and experts, in order to appeal to a wider audience. Ask students to speak clearly and to enunciate in order to get their audiences engaged and interested for the duration of the podcast. 6. Remind students to appeal to the “ear.” Unlike a video, there are no visuals or graphics in a podcast. This reality forces students to switch up their communication styles in a way that appeals to the ear (versus the eye). Encourage students to be authentic, and to use good diction and voice that speaks directly to the audience. It shouldn’t sound like they are reading from a script; rather, their voices should be enthusiastic and entertaining. By integrating these six strategies into your students’ podcasting activities you’ll be well equipped to help them develop audio content that engages, entertains and educates listeners (while also helping to develop the podcast creator’s own communication skills). StudySync’s scripts for the “School of Thought” podcasts became our model for both developing the writing and audio prompts, especially the voicing techniques and sounds they used. Our classroom podcast, “Skyping with a Sacramento State student,” was a hit. As each student selected topics for their individual podcasts, I was overjoyed at the diversity of thinking, their rhetorical appeals, as well as their aural persuasions, storytelling and interviews. Though many of my students were nervous about the assignment, they really came through. It was fun hearing many of our own teachers at Lincoln High included in various podcast interviews. Hats off to creativity, problem solving, innovation and technology.